Podcasting has seen rapid growth in recent years, with about one-third of the U.S. population listening on a regular basis. Advertisers have flocked to this medium, as listeners tend to be younger, more educated and have higher incomes than the general population. It makes sense for local news providers to consider extending their brands and creating new revenue streams through podcasting. 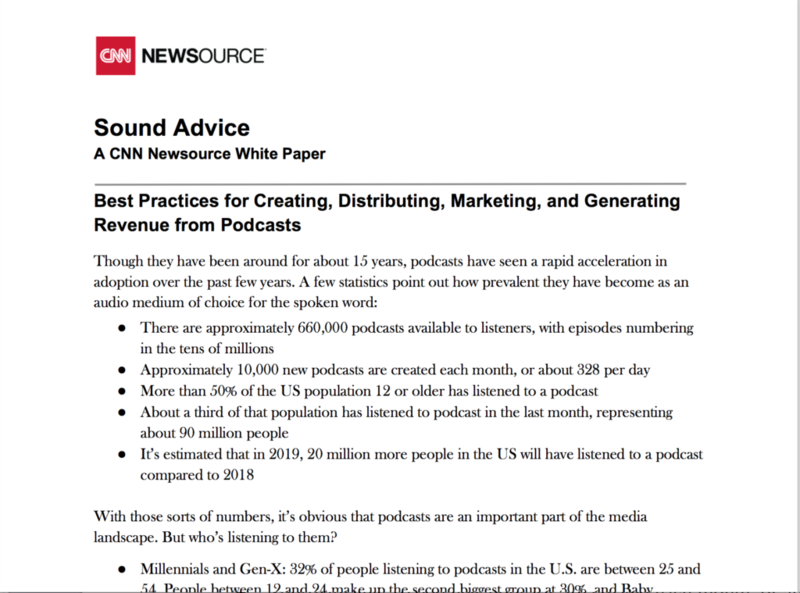 CNN Newsource is happy to provide the following guide to help you on the path to creating compelling and moneymaking podcasts. We’ll examine best practices when it comes to planning and recording your podcast, making it available to consumers in your market, and finding the best ways to generate revenue from this important brand extension.